Fight or flight kicked in as my net worth got crushed by around 35%. Maybe the drop was worse if I actually tried to sell some of my holdings. Nobody was buying anything. Since I was already an avid reader of everything finance and personal finance related, I realized something quite interesting. 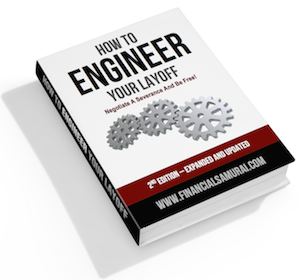 The largest finance-related blogs in the world were not written by people with any professional finance experience. Many of them didn’t study finance in school or get their MBAs either. Instead, they were regular folks who usually got into too much debt and wrote about their journey towards debt freedom. Among the smaller sites, one even positioned himself as an investing expert, and people actually believed him even though his day job was stacking potato chips. Pretty amazing! Then I realized the same thing in mass media personal finance. Brands such as Forbes, Fortune, MONEY, and Kiplinger’s would often hire freelance writers with actually no direct experience in writing what they are talking about e.g. a renter writing about the benefits of home ownership or a 28 year old in debt writing about retirement. Instead, they hired writers for cheap and smartly leveraged their brand to earn a profit. I thought to myself, wouldn’t it be a no-brainer to start a personal finance site and write from the perspective of having spent an entire career in finance? If the sites that were so popular got to their stature by just telling their personal stories and touching upon basic principles such as saving for retirement and paying off debt, couldn’t I do just as well talking about the same things while focusing on the myriad of ways to make money as well? The biggest irony is that people with successful finance careers can’t be bothered to spend hours writing for free about making money because they are too busy making money for themselves via their own endeavors. It’s the same thing with great investors. Instead of writing about investing to help other people make money investing, they’d might as well spend their own time investing and getting rich themselves. Obviously, I didn’t have a successful financial career because I left in 2012 after only 13 years. As a result, the largest personal finance sites are generally started by regular folks. The opportunity cost to spend hours and hours creating content is smaller, and they can relate to a heck of a lot more people than someone who might already have a healthy net worth. The only downside about successful personal finance sites being started by people who don’t come from a finance background or who are not already financially successful is that the temptation to sell an amazing income generating asset that produces a lot goodwill due to a fantastic community is just TOO GREAT to resist. Despite my belief that everybody should be BUYING income generating assets in this low interest rate environment, almost every single large site has been sold because the owner couldn’t resist the temptation of a relatively large financial windfall. If they were already wealthy, then the ability to resist a sale would be much, much easier. Ironically, practically every single owner who sold has decided to jump back into writing about personal finance because they enjoyed the process so much. I really encourage everybody to do the math before getting rid of their babies. If your site is generating $50,000 in operating profits a year, you must own a $2,000,000 asset producing 2.5% to replicate the value of such a business. Meanwhile, the most sites have sold for are based off 3-4X annual operating profit multiples. Having a large cash flow and a great community is what living a free life is all about. Don’t give it up! It’ll be seven years in mid-2016 since I started Financial Samurai. The journey has been great for the most part. Recognizing the opportunity to be a personal finance blogger with a finance background might be 10% of the reason why FS has survived. The other 90% is due to consistency. 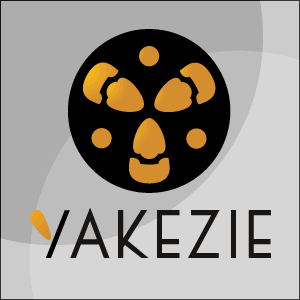 Even Yakezie.com has so much opportunity if I can only find more time. There’s obvious opportunity smacking you in the face every day. Discover the anomalies and take advantage. Find your niche then fight like hell to keep going until you’ve reached a critical mass where your momentum can’t help be make you succeed. The people who are now saying the blogosphere is too competitive are the same people who said the same thing back when I started in 2009. I’m sure in the year 2020, they will be the same people still using this same excuse why they don’t start. Once you gain momentum, it’s easy to keep on going. Once you’ve built a platform, you’re well on your way to becoming a financially free person! Check out the best wealth management firms for your money today. Take advantage of low cost digital wealth advisors who can help you grow your retirement portfolio. It’s 2017 and the bull market continues. Make a decision to be wealthy by taking control of your finances! That’s awesome you’ll be hitting your seven year anniversary next year! Time flies. I’m surprised too at the number of people who have dropped out and sold their sites since I first joined Yakezie. I think it’s awesome you’re able to write so many insightful articles from your own experience. They really stand out in the blogosphere and your first hand knowledge makes such a huge impact on readership and content quality. Thanks for being such a great inspiration! That is an interesting obeservation that most of the large personal finance blogs have no professional finance experience. It’s good to “exploit” this fact, even though, like you said, is so obvious. A lot of people don’t care so much about the finances, and more so on the story. That is the biggest obvious potential imo! Seven years – you and me both! Only thing I can think is “I wish I started earlier”. I think people are undervaluing the value of the “soapbox” as well: if you veer off topic for a week on your site? Hey, that’s just quirkiness you’re allowed to have – and push some percentage of your readers into one of your other interests! I find this is still true today and it irks me to no end; part of the reason I have put an end date on my financial blog. Do you ever notice the swaths of bloggers who are clearly writing about topics they don’t understand or have experience in, simply summarizing something qualified they read elsewhere? I’m university educated and have been investing since I was a teenager but, I’m certainly no expert and I found as time went on the type of articles my readers wanted were getting simpler and simpler. Nothing I have written lately has been challenging in any sense for my readers. They don’t seem to care for analysis either. Perhaps that’s just my demographic. Do you ever get the impression the internet is just flooded with a bunch of people saying the exact same thing? I started my first blog (blogger) in 2011. I wish I knew then what I know now but, in retrospect, the most important ingredient that was lacking in that blog was vision. I had no vision for its future. Not surprisingly, it kind of shriveled on the vine. So, I think I’d add ‘clarity of purpose’ to your formula for success. Interestingly, that blog still gets traffic even though I haven’t published a post since April 2014. Not much traffic… But, people still find it. I’ve learned so much in the short time I’ve been creating my current blog that I’ve decided to relaunch the old one in 2016. 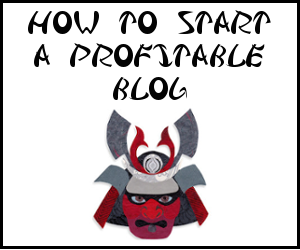 Blogging is an incredible opportunity. Diane, I had the same thing happen to mine. I went almost a year without publishing anything, yet people still found it and it still made (a very little) affiliate income. I guess that was the dream, just on too low a scale to matter.